The Brome-Missisquoi Chamber of Commerce is pleased to add a new service that can respond to both parties: it is a directory of vacant premises in the city of Cowansville, where entrepreneurs can search to find "the perfect place". 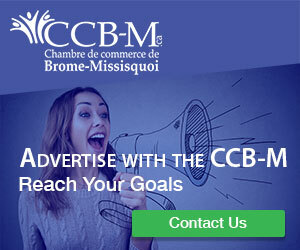 For industrial premises, please contact Benoit Lévesque, CLD Brome-Missisquoi Industrial Advisor, at (450) 266-4928 ext. 236. We try by all means to keep this directory up to date, which is why we invite rental property owners to confirm or correct the information posted on our site, by contacting us by email at info@ccb-m.ca or by phone at (450) 266-1665, ext. 220. Édifice Goyer et Frères inc.